Semi-privates & Privates ! 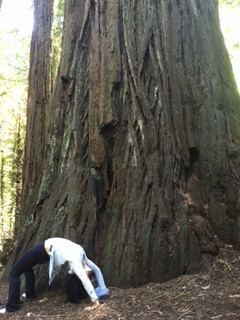 With all advance certifications behind me, happy to announce that I finally have some available slots to offer for private yoga lessons for that unique individual’s specific goals and needs – If interested, please contact me, so we can design and customize the sessions that optimizes your health and work together as you would with a personal trainer. It’s a program for specific goals you set. Basically, a personal trainer with a yoga twist and props and techniques. & 800 hrs. registered/certified Yoga Therapist with IAYT, my yoga instructions are detailed and fine tuned for each unique individual and condition – not one size fits all. During my Shin-Rin Ryoku* I flipped into Urdva Dhanurasana – in gratitude for the healing powers of my body. Imagine, only few years ago, my lower back was SO PAINFUL after a trans-pacific flight to Asia, I had to stagger into a special physical therapist in Tokyo (actually he kindly made a house call for the desperate – too much pain to walk – as the neighbor who recommended him hosted him at her home and looked on with kind care creating safe space. ) …He, with his magic fingers palpating, vertebrae at a time, he “fixed” me:) So thank goodness, almost 80% of the wheel I used to be able to do has returned … but see how I do not crunch my lumbar spine here. I no longer go into any pose with “intensity” or “force” but only with ease and comfort (& gentle coaxing as some challenges to overcome is good – it makes us stronger:). Here, I also needed a sticky mat as hands and feet were slipping with soft leaves rustling under ground shifting … happens when you act out of impulse – without a yoga mat, sliding apart with no grip – on lovey leaves and twigs covered ground. Shin-Rin Ryoku – highly recommended:) breathing in fresh energizing Oxygen provided by the entire forest:) In gratitude for the healing powers, the intelligence we have within. AND Yoga I have taken up seriously because when I was fixed, I had two thoughts, two take-aways: (1) gratitude; (2) I thought to myself, what if I could fix myself without relying on a house call by a doctor – what if I had the power and knowledge to prevent and/or fix my own body-temple. How about self-maintenance that sustains me in all stages of life? 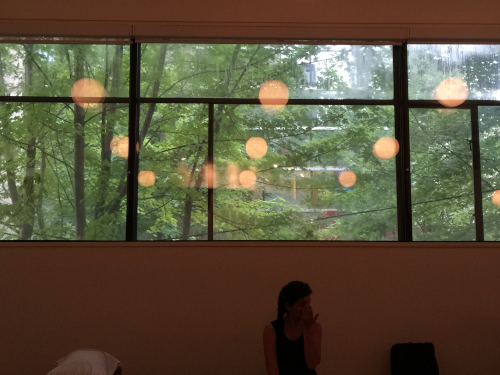 How can I better tend to my own wellness and be attuned to its needs? Thus, began the inside-out transformation, this journey. – Taught & Assisted Nandi Yoga studio’s Yin/Vinyasa combo/Yin/Restorative&Family/Kids yoga programs. Privates are ideal for students who desire more personalized attention and customized instructions to meet their unique condition. To me, it’s temporary so that you can rejoin the group class – but it can be ideal for anyone undergoing particular health issues (unusual weight gain/weight loss, arthritis, PTDS, insomnia, chronic stress/pain, fertility challenges, PRE & POST -surgery or during treatments), transitions such as pregnancies, midlife hormonal and family dynamics changes, or just have a desire for privacy before stepping into a large public classes, or due to demanding career, etc., have very limited pockets of time for yoga and need a personalized program to maximize the limited time allocated for health maintenance and wellness. MIX THEM, MIX THEM ! Shin-Rin Ryoku* 森林浴 just means bathing in the forest – just taking in the energy of such sacred space with all 5 senses. If not physically possible, there are many other ways – visualizations, imaginations, meditations … You can be anywhere you choose to be when there’s an intention.